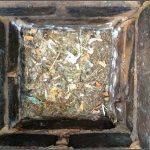 The UK has a number of bird species that like to nest in chimney flues. By far the most prevalent is the Western Jackdaw (Choughes). These birds are persistent and predictable. You often see them warming themselves besides chimney pots, a sure indication they are nesting there or nearby. Their breeding season is April to July, egg incubation takes 20 days and then the nestlings take 32-33 days to fledge. 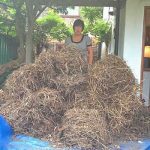 You can see twigs falling down the chimney when they start to nest and then hear them in the chimney when nesting and breeding. 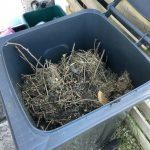 During this time it is illegal to damage or destroy a nest, unless certain strict circumstances apply (for which we have a licence). As well as a fire risk nests pose a serious risk of carbon monoxide poisoning and also significant damp problems. We use the latest nest removal equipment to remove nests plus we fit cowls to prevent a re occurrence. A CCTV survey is mandatory after every nest removal to ensure no issues remain. Firstly soot falling, particularly during rain or hail, is a clear sign that the chimney requires sweeping and a rain guard fitted. Smoke coming into a room from an appliance is never good.It can be due to a blockage (nest, soot, flue collapse etc), the wrong cowl/chimney capping or a variety of other reasons. If smoke is entering then so is carbon monoxide, call us straight away. The smoke damage seen above this fire was caused by a saddle cowl fitted to the live flue, plus no flue liner fitted. 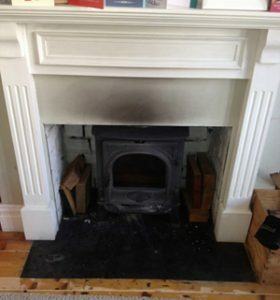 If you are looking to re-establish a fireplace after a period of inactivity or are going to change the use (e.g. gas to solid fuel) then there are certain checks that MUST be undertaken to check a flues suitability. 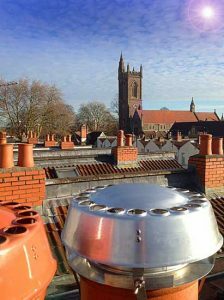 A site visit and the Checking Service is necessary to see what is required to get your flue into operation. If you want a one stop shop for everything necessary to get you up and running then call us for an appointment. Click on the image and the link will take you to the extract of the approved processes for putting a flue back into use. A downdraft is simply your chimney working in reverse and drawing air into the room. Not only can this make a room very cold but it makes lighting a fire or keeping it going difficult. There are a number of reasons why this can happen and working through a checklist of potential causes is required to nail it. Just fitting a cowl wont solve the issue, you need to identify the cause and address it. Sometimes the smell of smoke can be due to an adjoining flue. A formal site visit is required to help solve these issues. It's not uncommon to have a chimney that drips during and after rain, particularly in an older property. The way a chimney is constructed, a lack of rain guard and inappropriate capping of a chimney are typical causes. We can cure this annoying problem.